Bartlett’s rātā has been called the ‘floral kakapo’, after New Zealand’s iconic flightless parrot: both endemic, both rare, both pushed to the brink of extinction by invasive species – but, five times rarer in the wild, this tree faces a far more uncertain future. 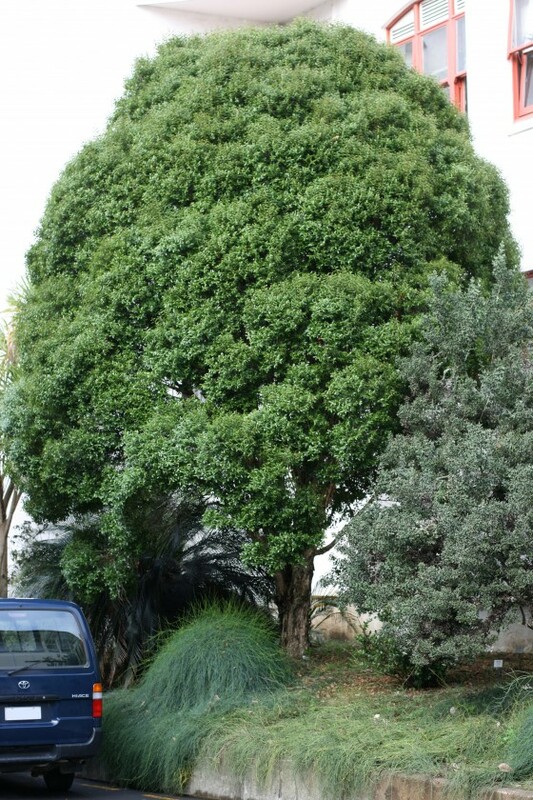 Metrosideros bartlettii was discovered in 1975 by ‘Hurricane’ John Bartlett, a science teacher and formidable amateur botanist. His attention was drawn to the tree’s distinctive bark, which is spongy, whitish and flakes easily, and when its white flowers were first seen in 1984 they appeared ‘like snow over the tree crowns.’ While M. bartlettii can grow 30m high and 1.5 metres across, it tends to work from the top down, beginning life as an epiphyte. Wind-dispersed seeds germinate high up in mature trees; as it grows the sapling drops roots which, once established in the soil, coalesce into the beginnings of a trunk, eventually killing their host. When M. bartlettii was first described in 1985, only seven mature individuals were known; in 1994 this was revised to 34 but the population is decreasing, with IUCN putting the count at 25 in 2013. These remaining individuals face a number of threats. M. bartlettii’s small, relatively isolated populations limit its ability to regenerate naturally; scarce pollinators and an inability to self-fertilise mean wild trees produce very little viable seed. Possums, among New Zealand’s most destructive invasive species and voracious leaf-eaters, are progressively wiping out the largest and most genetically diverse population of Bartlett’s rātā. 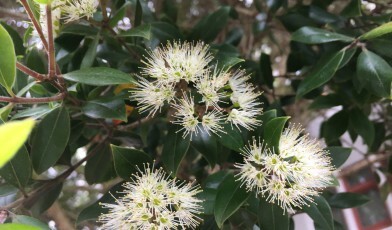 Another invader, the myrtle rust fungus, is predicted to arrive in the coming years, and M. bartlettii’s precarious state (its most genetically unique population comprises just two trees) makes the species especially vulnerable to attack from this pathogen. Bartlett’s rātā is currently found in four ex situ collections and could become well-known as a garden ornamental, but currently cultivated material lacks diversity – most comes from just one individual. Efforts are being made to secure the future of Bartlett’s rātā, including seed banking all known wild plants. Research into the genetic diversity of the remaining populations, while producing troubling results, has provided invaluable information for prioritising recovery actions for the species, and for cultivating genetically robust plants ex situ to reinforce wild populations. This profile was written by Oliver Wilson. Feature photo credit: Emma Bodley (@ebodley) – Wikimedia Creative Commons.